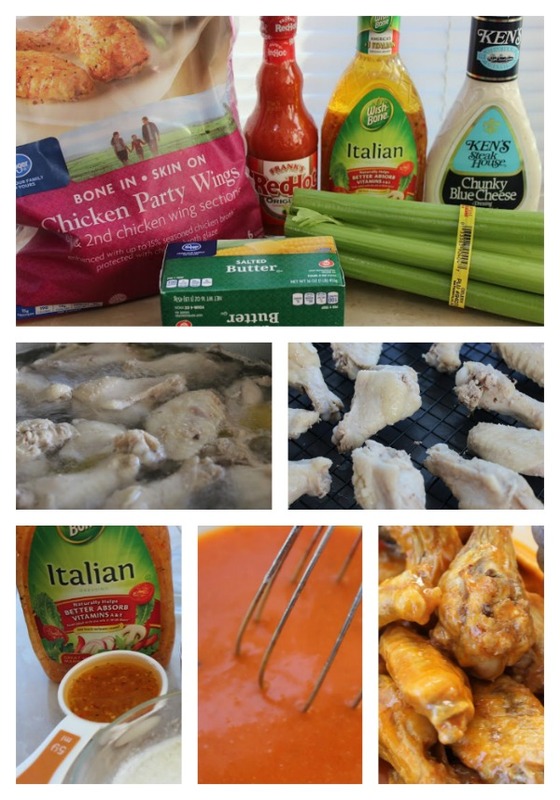 Have you made No Fry Buffalo Wings before? I just did and they are FANTASTIC! Plus, I am not one who really likes wings much in the first place. Especially if they have to be fried, which stinks my house up, and not to mention is not that healthy for you. 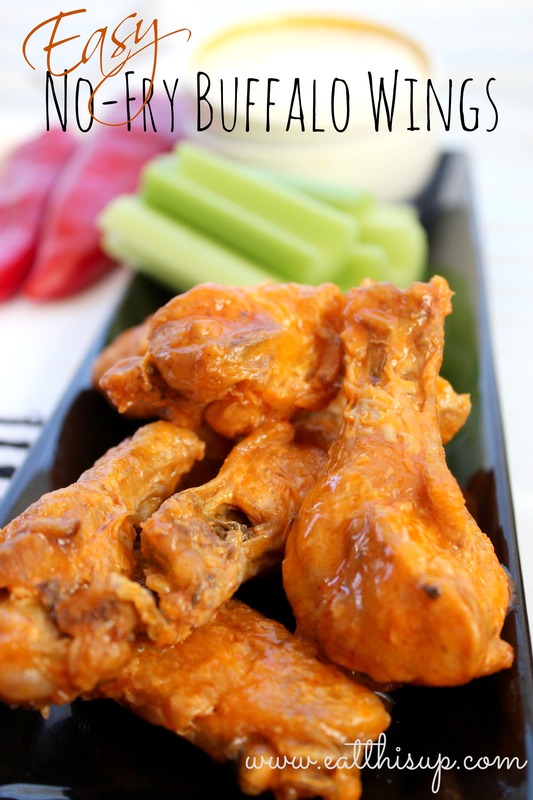 All you are going to need is a bag of wings and drumsticks from the grocery store. You probably already have everything else in the pantry. If not already done, cut apart wings and drumettes from the bag or package. Now you will be boiling them, then adding them to the oven. When they are done you will toss them in the coating. Serve with the traditional celery, blue cheese or ranch! My husband and *most* of the kids LOVED them! I had a few littles that were not that impressed but they are that way all the time!